Baltimore City's State's Attorney Marilyn Mosby wants to clarify what will happen now that she says she will no longer prosecute people caught with marijuana. 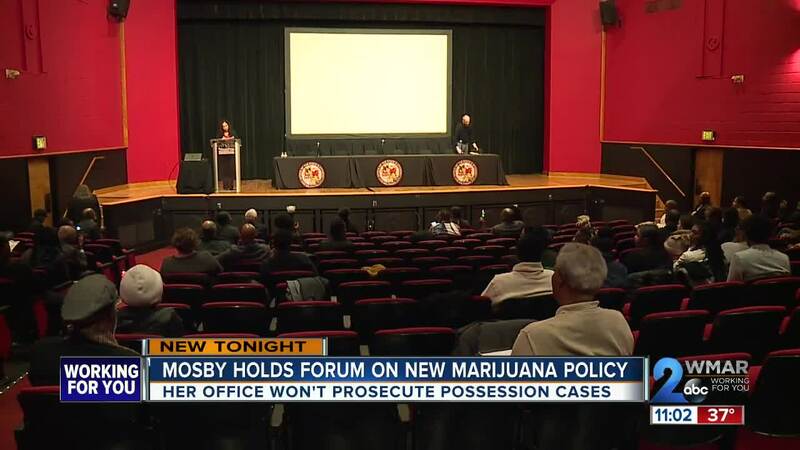 BALTIMORE — A new policy on prosecuting marijuana possession was the topic of discussion at a forum in Baltimore City Wednesday. Baltimore City's State's Attorney Marilyn Mosby wanted to clarify what will happen now that she says she will no longer prosecute people caught with marijuana . "There is no public safety value," Mosby said. "In places like Oregon, Las Vegas and Washington state, there is no increase as a result of legalization [of marijuana], and violent crime in particular." Her office is held a 'Court in the Community' meeting at Baltimore City Community College, where she answered any questions or concerns with a panel of activists from the Drug Policy Alliance, Marijuana Policy Project, American Civil Liberties Union and Job Opportunities Task Force. Mosby says the policy change will free up law enforcement resources that would be used in possession prosecution. "It's not just the State's Attorney's Office. It's the Department of Public Safety and Correctional Services. It's the Baltimore Police Department. It's the public defender's office. It's the district and circuit courts. It's an extensive amount of resources," Mosby said. She also cited a trend of more enforcement on poor and minority communities. "Since the decriminalization of marijuana, 360 individuals have been arrested and 96% of those individuals are black," Mosby said. "This is a gateway into actually uncoupling segregation from the lives of black citizens in Baltimore," community developer Andre Robinson said. Many spoke in support of stopping the disproportionate arrests. Others can't stand behind the idea of stopping all prosecution. "I'm sorry but I can't see this being allowed," Corner Rock Ministries pastor James McEachin said. "The system should not condone this." 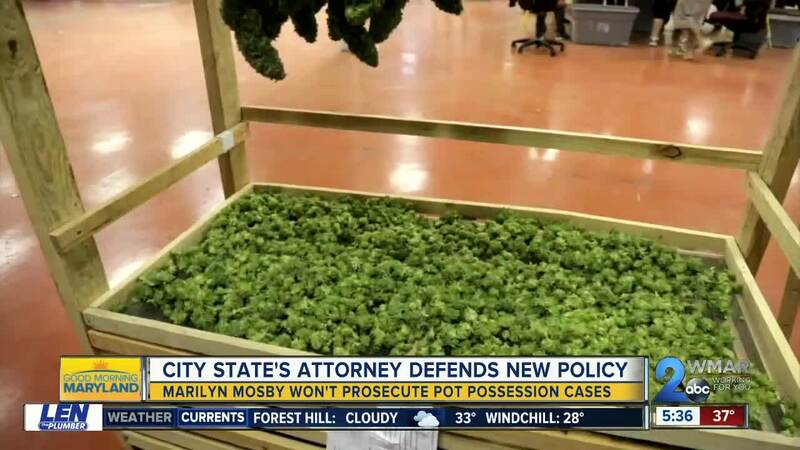 Mosby's office will still prosecute people for possession with intent to distribute if there is additional evidence like scales, baggies, or an officer witnessed a transaction. Despite this announcement, police continued to arrest people for possession.